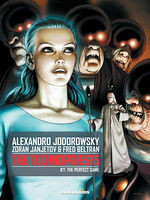 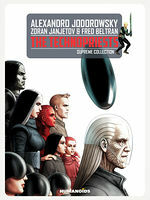 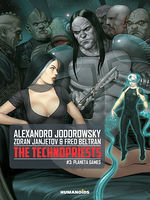 This regular sized edition features a brand new introduction by the series’ artist, Zoran Janjetov (BEFORE THE INCAL). 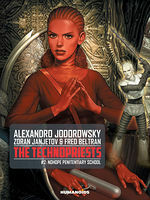 After the Greek tragedy of "The Metabarons," Alexandro Jodorowsky comes back to his biblical roots with this quest reminiscent of Moses and set on a galactic scale. 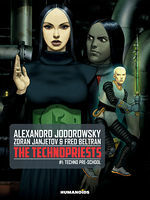 To top it off, the characters and the theme of virtual reality are tailor-made for artist Zoran Janjetov ("Before The Incal"), who finds in Jodorowsky his perfect match. 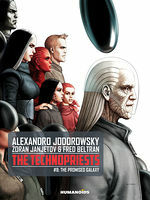 Albino, hero of this space odyssey, remembers here his childhood, his apprenticeship, and the big and small battles he had to fight to fulfill his ambitions in a universe where technological advances are paradoxically matched only by the cruelty and the barbarism of the forces controlling it. 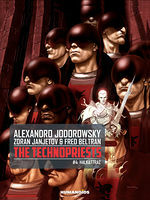 This sci-fi epic tale is a little different than Jodorowsky’s past work but equally mind-blowing.